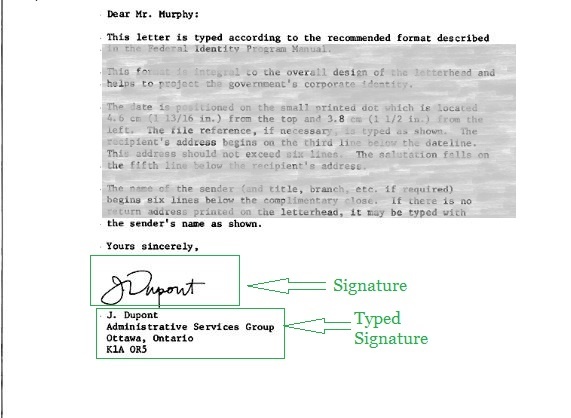 What is the meaning of typed signature? Thanks. Therefore can I take it that it means simply the name of the person who has signed a letter which has his or hers signature? You couldn't have made that any clearer!